Sunshine bathes an earthly paradise, depicted with finely etched crosshatching. Illuminated by its light, sea turtles, hummingbirds, frogs and geckos frolic amid red hibiscus blossoms. 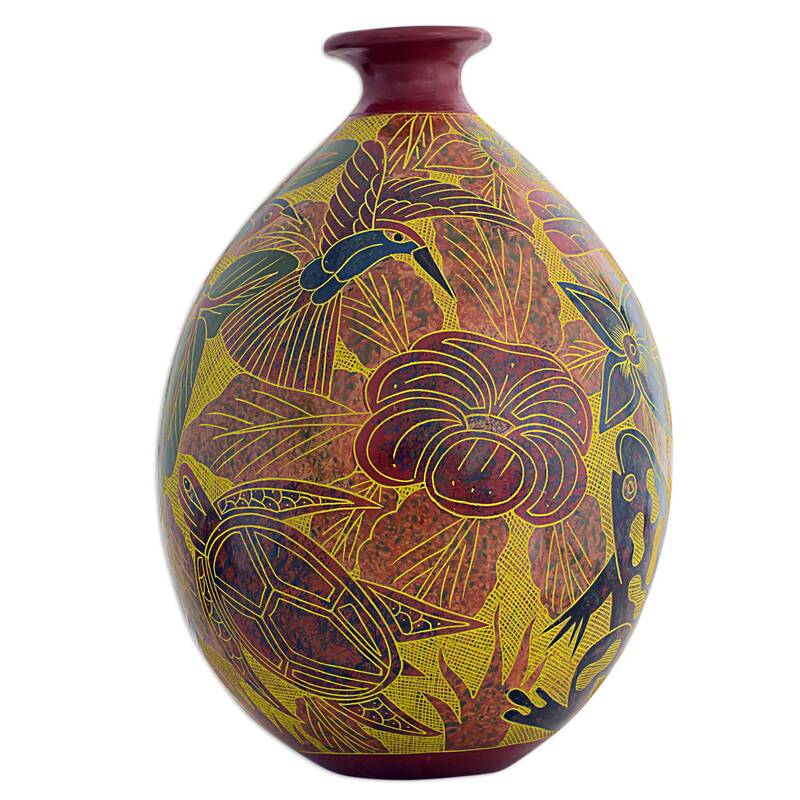 Victor Barrios crafts this beautiful ceramic vase by hand. "I find my inspiration in the natural world," the artisan confides. 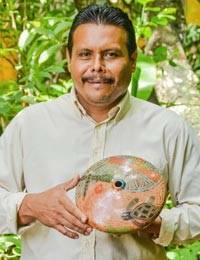 "Although we are a small country, our warm climate makes Nicaragua a home for all kinds of wildlife." 28.5 cm H x 20 cm Diam. 11.25" H x 7.75" Diam. Artfully crafted by Victor Barrios from Central America.